The human bladder urothelium (BU) and bladder urothelial cells (BUCs) play an important role in the normal functioning of bladder including bladder storage. Current evidence in interstitial cystitis (IC) supports multiple abnormalities in bladder urothelial physiology. These data have come primarily from human studies. The discovery of a novel protein termed the antiproliferative factor (APF) uniquely expressed by IC BUCs is extremely important. APF induces increased permeability of normal BUCs grown in culture. Furthermore, APF regulates expression of other cytokines, including upregulating heparin-binding epidermal growth factor-like growth factor and downregulating epidermal growth factor by BUCs. These cytokine abnormalities were also related to increases in purinergic (adenosine triphosphate) signaling, which could mediate increased bladder sensation. Recent studies of uroplakins, which are specialized proteins expressed only in the apical urothelial cells, suggest that uroplakins play a role in the barrier function of the BU. 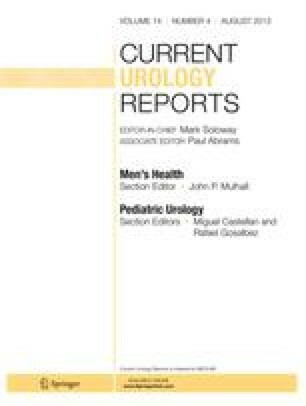 It is also conceivable that alterations in uroplakins may result in bladder symptoms related to increased permeability or decreased protective function. As the body of knowledge about BU and BUC function increases, novel therapies targeting urothelial cells should become clinically feasible.